Today, I’m SO beyond thrilled to release the AUDIOBOOK for Wide Awake and Dreaming: A Memoir of Narcolepsy! Available now on Audible, Amazon and iTunes. Listen to a sample and download here (your first audiobook with Audible is always FREE!). Recording the audiobook is something I’ve been meaning to do for a while. Finally, this summer, I hunkered down to hire a recording studio and producer. 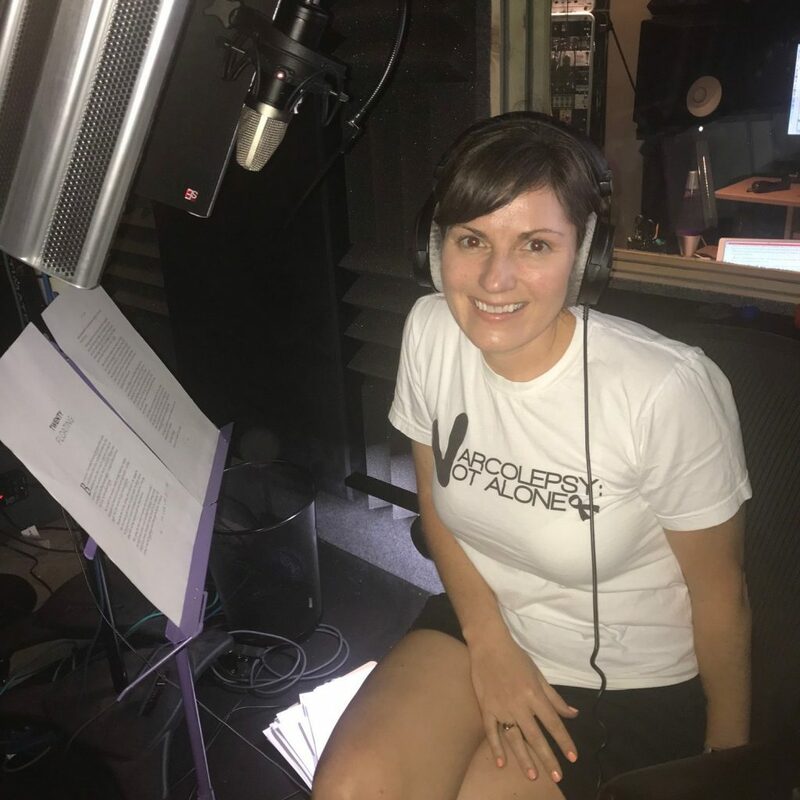 I thought I’d be great at narrating my own audiobook and could show up the following week in the studio to narrate it – easy peasy! Little did I know… the process was much more “involved.” It was extremely emotional. It was also physically excruciating at times, reading so carefully for hours on end as a person with narcolepsy. My voice muscles needed to be trained up toward the recording, just like training for a marathon. I will follow up with a fun post about the behind-the-scenes journey soon. I’m just SO beyond excited to finally share this new resource with you to open more hearts and minds to narcolepsy. Thank you for your incredible continued support of this book! Special thanks to Kenny, Sean, Sebastian, and Deb – you carried me through this experience and brought out the very best narrator in me possible. I’m forever grateful for your enthusiasm, expertise and incredible kindness. Please download the audiobook, leave a review, and spread the word to friends and family! I can’t wait to hear what you think. Congratulations! I have listened to your audiobook and I really love it so well, my friend was right that I should try the Wide Awake and Dreaming audiobook and it never failed me, I’m so worked up for your next release. Please let me know when will be the next audiobook.